Warfare in high security space takes many forms and has many different combatants. There are mercenary corps, industry corps, mission corps, teaching corps, and the multitude of corps that try to do a little bit of everything. Yes, that is a much simplified listing; listing all of them would be long and uninteresting. However, what these distinct groups have to say about high security warfare is anything but long and uninteresting, so I got a few of them to answer some questions. First up are the mercenaries. These guns for hire are widely utilised throughout high security conflicts for many of the reasons I highlighted in my last column. Through successful contracts, mercenaries can gain fame and fortune. In the past, groups such as REPO. and The Privateers were called the top dogs of the mercenary world. Over the past few years, though, The Marmite Collective & Noir Mercenary Group have risen to the top. CZ: Have you found that high sec war has become busier or more profitable since the changes wrought in Inferno & Retribution? Tora: For Marmites, the merc thing isn’t profitable, as we put every single ISK we make, back in new wars. Like the perma decs we have with many CFC alliances right now in Marmites and our alt alliance ‘Darwins Lemmings’ run by General Lemming. Both are financially being supported by Gevlon. We are lucky to have so many regular returning clients, who keep the isk flow running. And when we have too many merc contracts, we forward them to fellow mercs like Pursuit of Happiness, Vendetta Mercenaries, PIRAT, DARK UNION, etc. It all depends on the job to be done. CZ: Some would say that you guys do not solely undertake merc work, but that you do what you do for grief purposes. Which is it? Tora: We have a mix of client contracts (who always have prio 1) and fun wars. We only do grief wars if someone gives us a reason to do so. Probably around 25% are paid wars, 65% fun and 10% grief. Not sure if the wars we have with the CFC alliances are paid, grief or fun. Probably a mix of all :). It’s so easy to get tears from guys like Goonswarm! And they really don’t care we are running Darwins Lemmings right now. Well maybe they do, looking at all the forum tears we got lately. Alekseyev: There’s a lot of competition for kills on the Jita 4-4 undock so at least for us finding targets outside that system is harder but more rewarding. There are whole alliances which specialize in tradehub camping whether the wars are paid for on their own or by an employer. Noir. wasn’t into that though so while we got hired to do that sometimes it wasn’t the bulk of our HS contracts. Another challenge is many of the most desirable war dec targets are used to being war dec’d a lot so do most valuable hauling on alts, use scout alts or neut rr which are difficult to intercept, etc. Next up, we what many would call the cannon fodder of EVE. Industry or mission focused corporations and alliances, or better still, small corps that claim to do everything, PvP, PvE, industry and so on. I chatted with RvB member Louis Robichaud about the occasions his alt’s industry corp has been the victim of war declarations in the past. CZ: As a small corp, have your members much experience with PvP? Louis: Overall it’s limited. I’m the unofficial PvP director and I am decent at it, but some of my corpmates thought engaging a stabber with a raven with no point was a good idea. To remedy this, I’ve been leading corpmates on lowsec frigate roams. They are learning and having fun so it’s been good. CZ: When you got war decced did you plan to fight, hide or disband & reform as many do? Louis: We have been wardecced a number of times, and how we react is very context dependent. Normally it’s just <random war dec group> who saw our freighter in Jita, and then we simply adjust our operations (3rd party freight for the win). One time we were wardecced by a small corp that seemed to specialize in POS-bashing, so we increased the defenses on our POS and they never showed up. 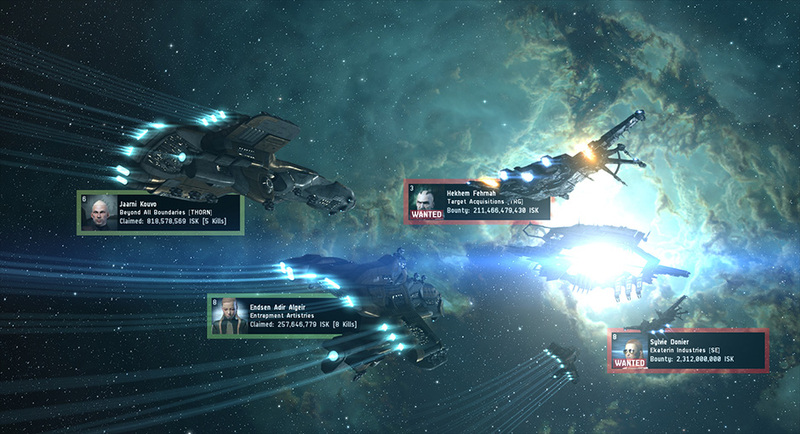 Another, a corp that had just left Marmite still had a war with us and appeared in our area of space but did limited damage – heck our frigate roam fleet ran into one of their interceptors and popped it. We wouldn’t disband over a wardec, it *is* a PvP game. CZ: Would your corp ever consider revenge wars against the parties who came after you, or even becoming the aggressor in a fresh conflict – say if some other indy corp moved into your area? Louis: As an industry corp, war is bad for business… usually. A local ganker and us sort of came to this strange agreement – he was selling mining permits but after several months in the same system, a mutual respect built up and now we sell him catalysts. Louis’ answers to my questions made me think back to the days when I ran one of those small “do it all” corps. 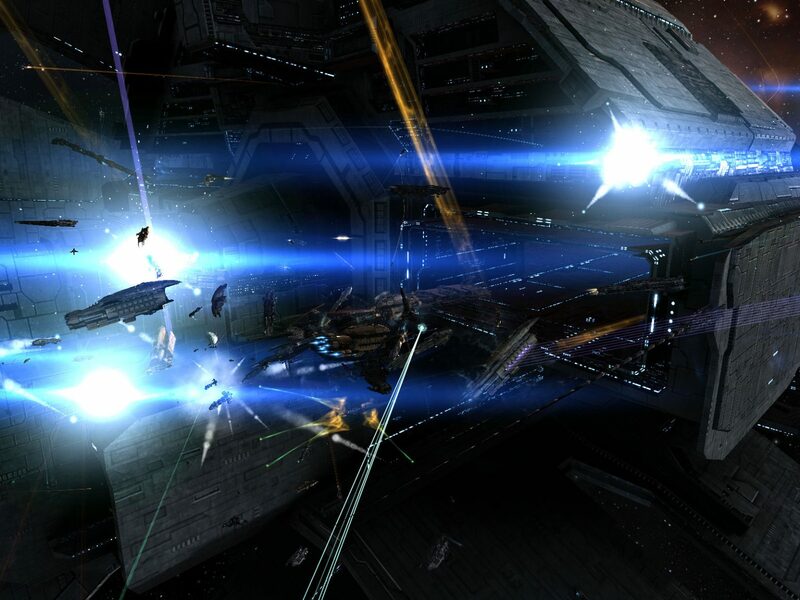 We advertised ourselves as wanting to PvP, PvE, run POSes, and eventually move to null sec – the usual vague promises made by hundreds of small corps every day to attract members. Anyway, we got a war thrown our way by some guys who wanted to take down our research POS, or at least ransom it. As many of the members had come over from Warhammer Online, they were itching to pvp so we told them to “get fucked” and fought back. We only had one or two engagements and I will admit we got our arses handed to us, but overall we won the ISK war, as we used t1 frigs and cruisers against their “expensive” T2 hulls, and our members came away really enjoying the rush from pvp so much so that within weeks we were set KOS by the Provi-block for roaming down there. 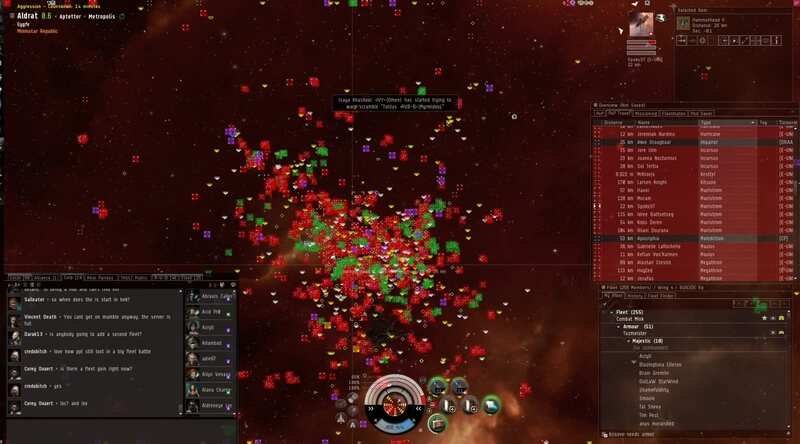 However this is not the usual small corp experience with war decs, normally a war lands and such corps either become a source of shiny killmails to their aggressors, or if they are aware of how it works, they use the ally system to get some friends involved, if only to show the aggressors that they can blob them. In fact RvB – Blue Republic did this just last week. A members alt alliance with some 90 characters in it had been wardecced by a 2 man corp, and rather than fight back themselves, they requested allies. Within hours the aggressors had paid a visit to RvB’s operating area, got firmly trounced by superior frigate blobs, and then dropped the war, without ever scoring a kill on the target of their war. Finally there are a two very large entities that are either declaring war themselves, or continually fighting defensive wars against other aggressors – mercs or otherwise. These are EVE University and RvB. EVE University is a group that teaches new players about EVE, and from time to time finds itself embroiled in conflicts they may not really desire, conflicts that could be considered very much of the griefing variety, when you take into account that the average member has very little to lose, and the alliance itself is not intended to make money. Over the years EUNI has moved from a very defensive wartime posture to one that is certainly more militant, seeing them become more of a force to be reckoned with when it comes to war. On the other hand, RvB, when not fighting ourselves in our Forever War, can be found starting wars for everything from economic reasons, including POS clearance and expansion of our POCO empire; aiding our members and friends; or even for fun, such as the wars we have fought with EUNI and Brave Newbies. The numerous conflicts between EUNI & RvB have seen the largest battles ever undertaken in high sec warfare, with many hundreds of pilots involved on all sides during key battles, such as the Eygfe gate in 2012 and the destruction of the EUNI POS in 2013. I would hope that having read this far, that it is apparent that high sec warfare is not solely the purview of “noobs” or those deemed to have “failed” in null sec, but of people and groups who take it as seriously as those who wage galaxy spanning wars do.